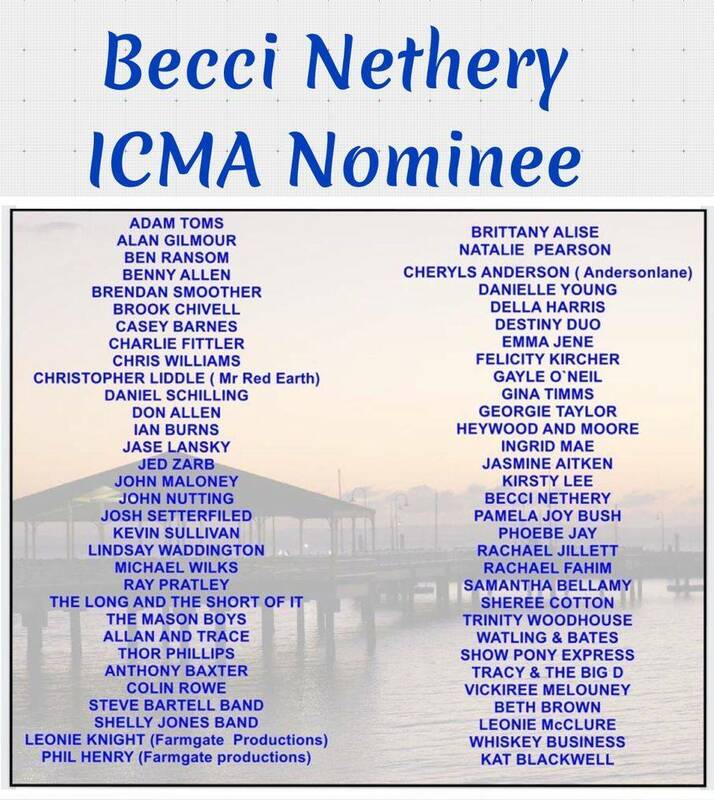 Becci Nethery has been awarded the 2018 National Song Of The Year gong at this years Tasmanian Independent Country Music Awards. 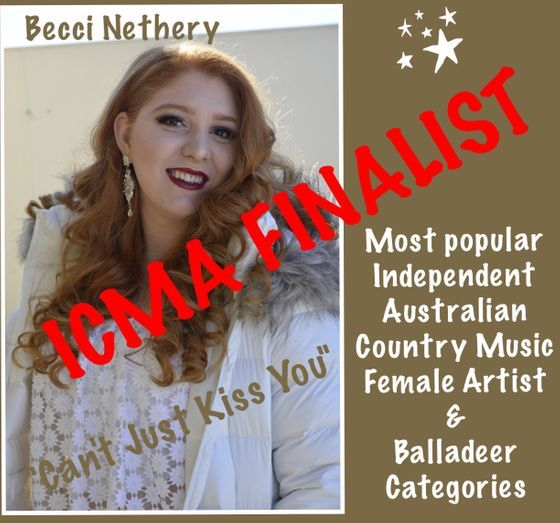 Tasmanian radio announcer and awards President, Nigel Jones says Beccis ‘Can’t Just Kiss You’ was a massive hit on all county radio stations in Tasmania. 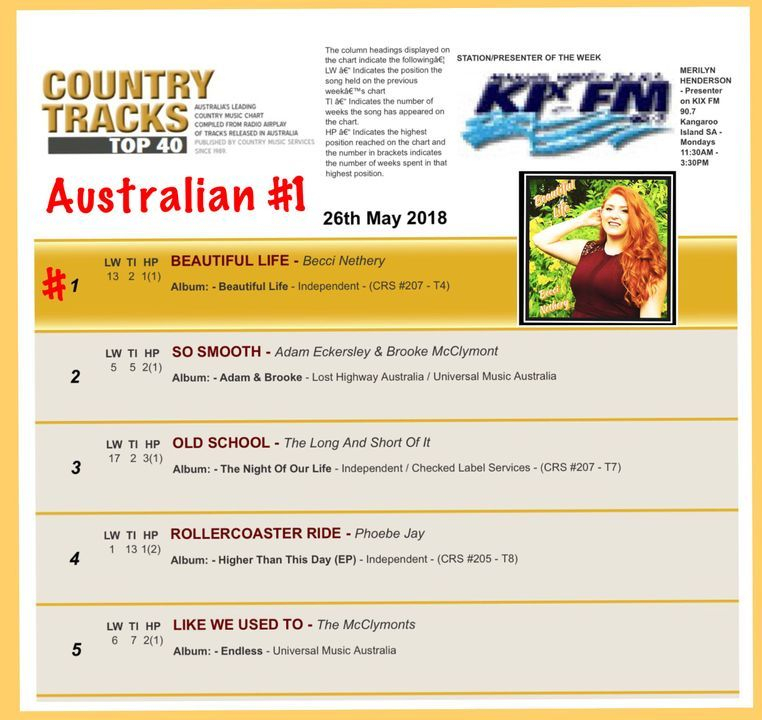 Her song beat a very strong field of Australian artists, sitting at #1 for 3 weeks and staying in the top 30 for a whopping 36 weeks. ‘Cant Just Kiss You’ also made #1 on the Australian Country Tracks Charts and charted for an incredible 22 weeks in the top 40. 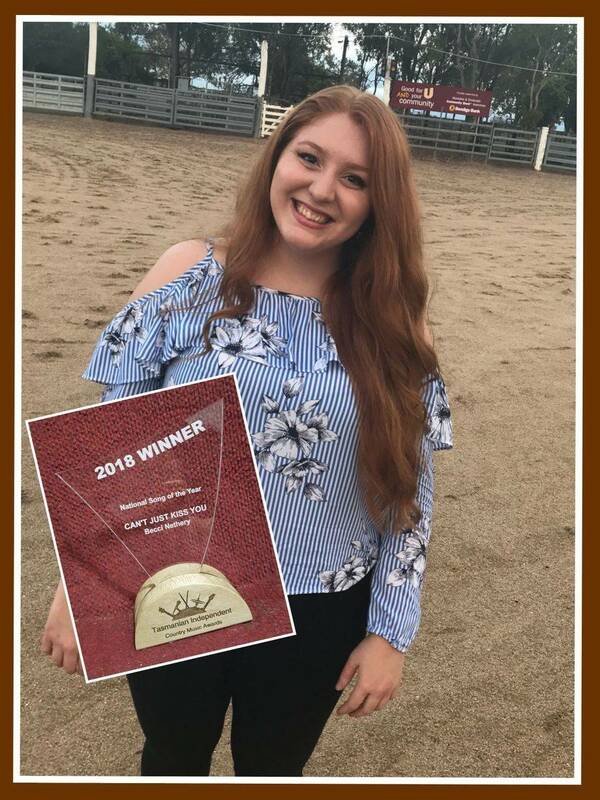 Becci received the news whilst performing at the FNQ country music Festival. Mr Bob Neate announced the news to her and the audience after she had completed her 55 minute set as the ‘Headlining Act’ on Saturday night. (One vote per device only permitted). 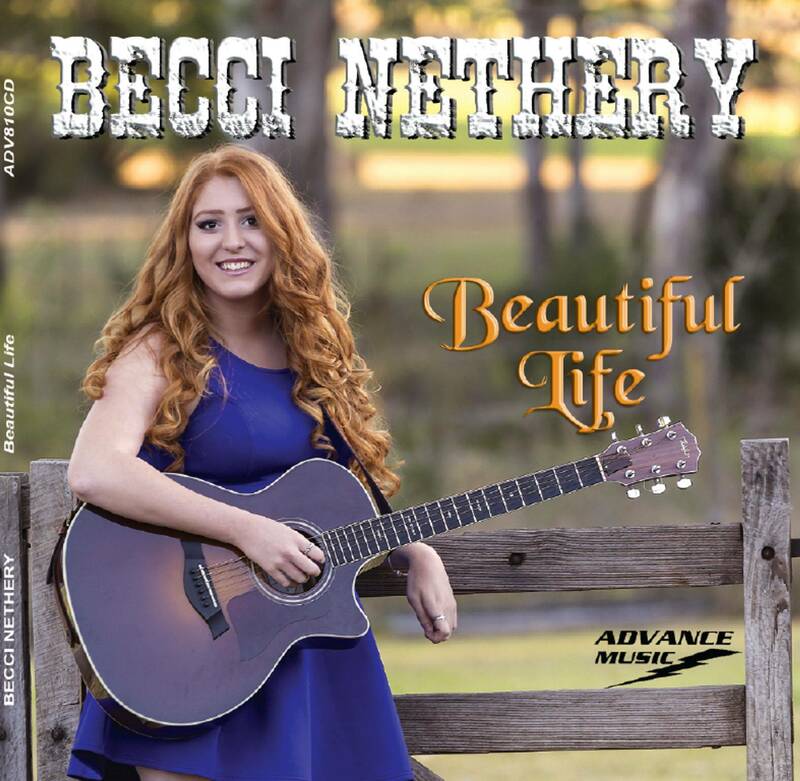 available for purchase at iTunes or CD Baby. 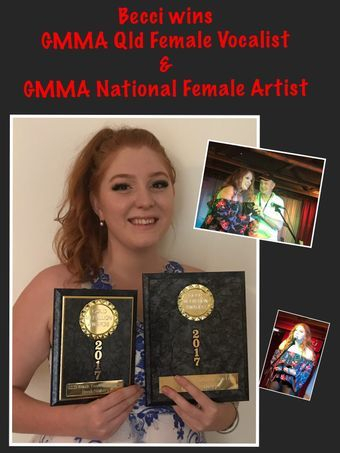 2011 – WCMC - CMAA SCHOLARSHIP winner for Academy of Country Music Tamworth. 2014 - The Cairns Post, OUTSTANDING SERVICE TO MUSIC AWARD. 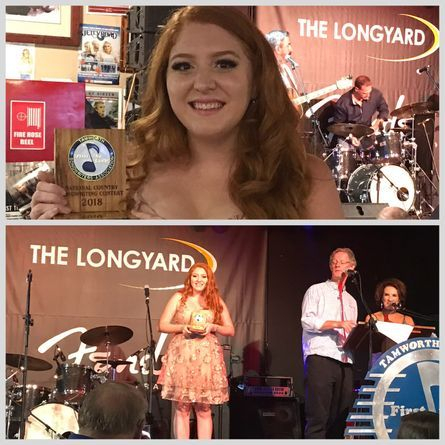 2014 - ACMA 1st place, SONG WRITER - JUNIOR "I Wrote This One For You"
2014 - ACMA 3rd place, BEST OVERALL SONGWRITER. 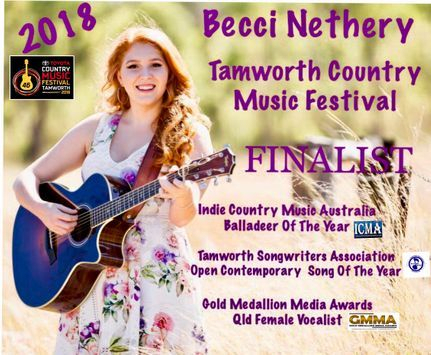 "I Wrote This One For You"
2015 - Tamworth Songwriters Association – WINNER OPEN CONTEMPORARY "I Wrote This One For You"
2015 - Brumby Award, Tamworth - BEST FEMALE VOCALIST OF THE YEAR "I Wrote This One For You"
2015- TASMANIAN COUNTRY CHART WINNER - "I Wrote This One For You" & "Livin' In A Love Song"
2016 - TASMANIAN COUNTRY CHART WINNER – “Your Hand Slips In To Mine" & "Spread A Little Love Around"
2017 - TASMANIAN COUNTRY CHART WINNER - "Can't Just Kiss You"
2017 - November 4th AUSTRALIAN COUNTRY TRACKS #1 SINGLE "Can't Just Kiss You"
2017 - Gold Medallion Media Award "Queensland Female Vocalist"
2017 - Gold Medallion Media Award "National Female Artist"
2018 - TSA (Tamworth Songwriters Association) "Open-Contemporary Section" for "Just Not Today"
Both were announced in Launceston at the Tasmanian Independent Country Music Awards.